Hi Peter! 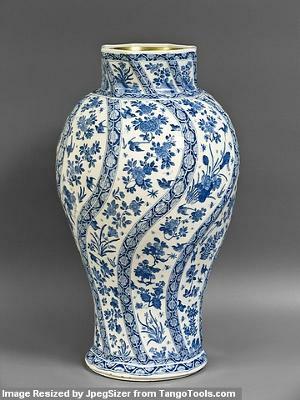 Could you help with this vase, it's look a like Chinese porcelain but is it Chinese? Thank you, Peter! The mark is very strange, it may be some other makers in Europe have used Kangxi marks?! Anyway this is bad mark for sure. I am not sure. There is still lots of decorations I do not know, but what is sure is that the mark is fake. The shape of the vase looks right. In any case, a picture of the bottom, foot rim, as well as the inside of the mouth could help determine if it is old. 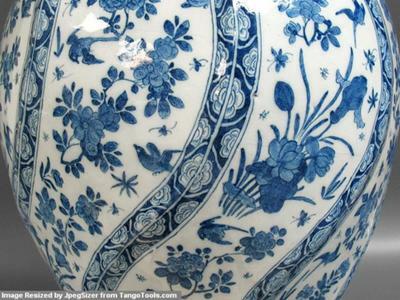 If it is not antique, then basically any decoration, even one that is different from the traditional ones is possible. 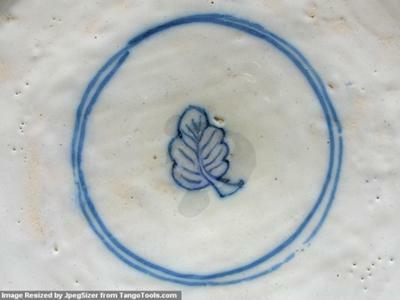 The double circle and leaf of the mark are painted quite badly compared with real Kangxi marks. I think an amateur did that. Also, the mark does not fit into the overall decoration quality. Looks as if it was added later.